This is the penultimate twelve days to Christmas post for the blog and we are clearly on day 11. Who is the famous character from history that is the subject of today’s song? well it’s the Russian mad, mystic monk known as Grigori Yefimovich Rasputin. He was born in January 1869 into a peasant family in Siberia and was assassinated by a group of disgruntled noblemen in 1916 aged 47 who were a tad unhappy with his close relationship with Tsar Nicholas II. This was not the first time someone had attempted to assassinate Grigori, a peasant woman tried to kill him with a knife in 1914, but he survived after surgery. In the early 1900’s he effectively became the leader of a small, but growing, religious cult. It is alleged that this is how he came to the attention of the Russian Royal Family. The Royals believed that Rasputin had healing powers which he practised on the Tsar. Rasputin’s daughter Maria once worked as a lion tamer in the USA. In one X-Men story Rasputin was revealed to be an ancestor of Russian mutant Colossus. Mastodon had a song about Rasputin on their ‘Crack The Skye‘ album from 2009. He was also depicted on the cover of albums by Electronic and the Smashing Pumpkins among others. But none of those are the source of todays song, for that we are going back to 1978 with Boney M; a classic, kitsch Euro Disco band. The single “Rasputin” went to number one in the charts in Germany, Austria, Belgium, France and Australia. It made it to number 2 in the UK. I don’t know if it ever made the Russian charts. 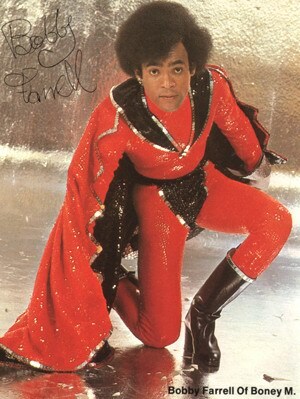 Bobby Farrell the male member of the Boney M four piece has a strange and coincidental link with Rasputin. Bobby’s death occurred on the anniversary of, and in the same city, St. Petersburg as, the death of the mad monk, albeit 94 years later. German music artist Frank Farian effectively manufactured Boney M after he began to have some success with his own recordings under that name. He put the band together to front his songs. They went on to become mega successful hitting number one in album and singles charts across the world from 1976 to 1979. The song was included on the band’s 1978 album ‘Nightflight To Venus’. 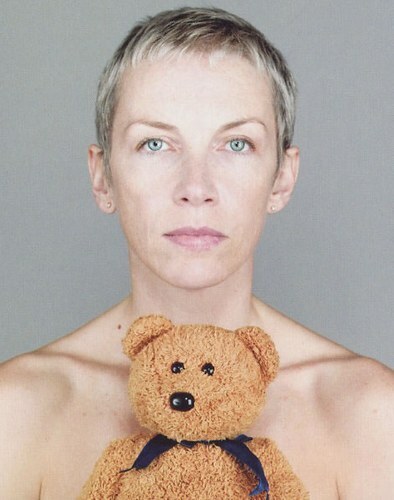 Meanwhile in the New Years honours list Annie Lennox wins an OBE while Trevor Horn godlike producer wins a CBE, congratulations to them both. Although I am unlikely ever to be offered a Royal honour I have made it very clear to my family and friends that I would turn it down, I cannot support an institution like the Royal Family. I find it strange that there are now a number of Knights of the Realm among the rock and pop aristocracy; Sir Cliff Richard, Sir Paul McCartney, Sir Elton John and Sir Mick Jagger. Keith Richards has made it clear that he would never accept such and honour and David Bowie has already turned down the offer of royal honours a couple of times in the past. Watch Annie with the Eurythmics below along with a couple of classic videos for Trevor Horn productions.